Using Intlmoves.com is the ideal way of finding the right international removal company to help you with your relocation to New Zealand. In just a few minutes, you can request quotes from up to 6 international removal companies. Compare their prices and services, and save yourself time and money by doing it all in a single request! Requesting quotes is quick, easy and obligation free! After completing the short online request form, your submission will be sent directly to up to six removal companies who match your quotation request needs. 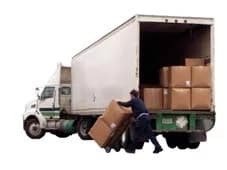 Intlmovers.com works in conjunction with a vast number of experts removal companies who are specialists in international relocation. International relocation companies within New Zealand are logistical specialists. Their main business goal is ensuring safe, cost effective and efficient removal of your goods to and from locations all across Australia.